There is an hourly Courtesy Bus available from the Car Park in Strandhill to Lisheen. The first bus will be leaving Strandhill at 1pm and the last bus will be returning to Strandhill at 7pm. Go to Strandhill village and at the roundabout, keep left and take the Top Road, rather than going towards the sea. Drive past The Venue restaurant and continue for two miles with the coast on your right all the time, until you come to the sharp corner which enters Lisheen, which will be well signposted with stewards signalling the entrance to the free car park. Take the turn left for Strandhill and continue driving the windy road to Ransboro Church and crossroads, turn left at the Church roundabout for Strandhill. The road will be signposted for the Show venue which is on a straight road just five minutes from the Church. 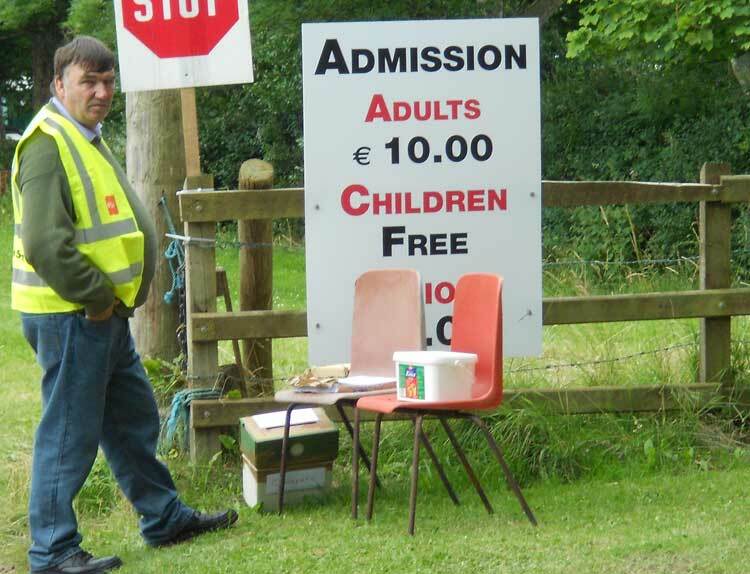 The entry fee for adults is €10. Children under 16 go free, & kids events on the field cost €5 per child for an all-day unlimited use.